So last weekend I said I wasn't going to do anything and I ended up being a busy little bee the entire weekend. I really mean it this time. Me. PJs. Couch. That's it. Well, and I might do some blogging. And some cooking. Let's be reasonable, huh? We have no more travel plans until June (when we'll be going to Vegas, baby) and I am sooo looking forward to doing some spring cleaning and trying out some new recipes. So wish me luck for doing nothing. I obviously need it. Talk Show Ratings Update: Broadcasting and Cable says that Rachael Ray's talk show ratings followed the upward trend for talk shows this week. She was up 5% to a 2.0 rating. The Girl Scouts have video of Rachael Ray helping some girl scouts getting a cooking badge. Mrbunsrocks at The Daily Struggles of the Domestic UnGoddess adapted Rachael Ray's recipe or Chicken Marvalasala and Pappardelle with Rosemary Gravy with good results. Jacob at Food Network Addict compares Rachael's old style and her new style. 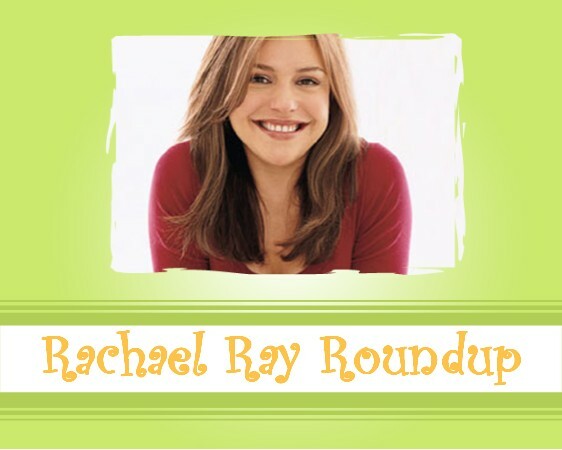 Adam at Men in Aprons discusses Santoku knives, including Rachael Ray's. Cate at Sweetnicks tried "a new recipe from Rachael Ray, Peas Pullao, from the May 2007 issue of her magazine." Cate calls it "[s]imple to make and pretty darn flavorful to boot...."
Angela M. at Shelterrific gave Rachael's Pea-sto Pasta a try and says: "despite the goofy name, it’s really amazing and so simple." Rachael Ray is among those being considered for inclusion on Time's 100 Most Influential People list. Go vote for her! Jamie Leigh tried Smoky Sweet Potato Chicken Stoup with Roasted Poblano Quesadillas from Rachael's Food Network show, 30-Minute Meals. You can see Rachael make this meal when the episode re-airs on Saturday. Idgie at Idgie's Front Porch offers tips on how to carry out Rachael's $40 a Day concept with a Southern spin.